The core of the distinction between the Passover Seder and the Lord’s Supper, or Eucharist, is the distinction between the Assembly of Messiah and national Israel. Although the Assembly of Messiah is part of national Israel — it is composed of the faithful remnant of Israel and believers from the nations attaching themselves to it — the two are not simply identical. To Israel as a people or nation one belongs first and foremost by natural birth. Who is born a Jew ipso facto belongs to the people of Israel. No one, however, belongs to the Assembly of Messiah by natural birth but only by virtue of the supernatural rebirth of faith. For that reason the Assembly of Messiah is a community of believers and one enters this community by a confession of faith. A person publicly confesses this faith by being baptized in Messiah’s name. Through faith and Baptism one is incorporated into the faithful remnant or the messianic part of the nation of Israel. Hence faith and Baptism are necessary for everyone, Jew and non-Jew, to belong to the Assembly of Messiah. This Assembly is thus a subset of Israel, to which believers from the nations are added. Those who identify the Lord’s Supper with the Passover Seder confuse the order of faith and supernatural rebirth with the order of nationality and natural birth. 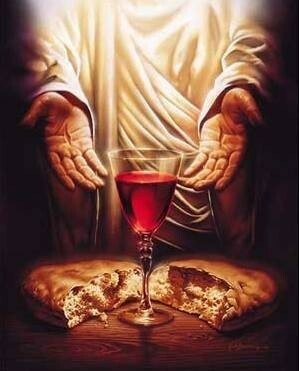 It should be obvious that celebrating the Lord’s Supper is the duty and privilege of only those who belong to Yeshua by acknowledging him as Lord and Messiah, and consequently are part of his Assembly. These are the baptized and non-excommunicated believers. Celebrating the Passover Seder, however, is the duty and privilege of everyone who belongs to Israel: this includes all Jews, whether or not they personally believe in Yeshua. Unbaptized children of Messianic Jews, for example, are, like all Jewish children, permitted to participate in the Passover Seder. 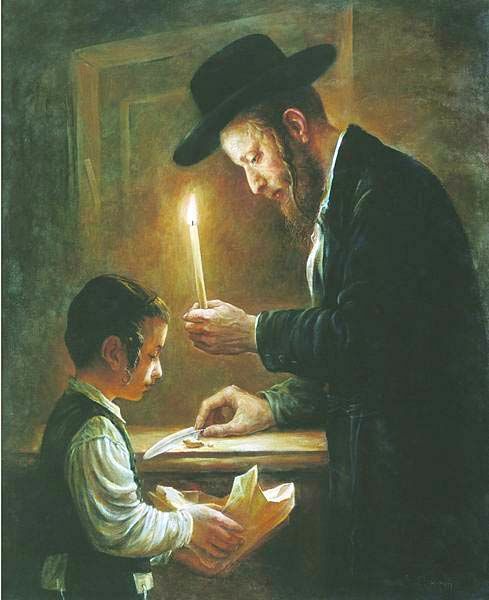 But unbaptized children and unbaptized persons in general, whether they are Jewish or not, are prohibited from participating in the Lord’s Supper. The Apostle Paul says that the celebration of the Lord’s Supper expresses the unity of the Assembly of Messiah. The many who are eating of the one bread are one Mystical Body (I Cor. 10:17). Due to the fundamental difference between these two statutes it is reasonable to assume that Yeshua didn’t institute the Eucharist during the celebration of the Passover Seder. An important indicator to this is the fact that Yeshua designated the bread he broke as symbolizing his sacrified body and the wine of the cup after the supper as symbolizing his sacrificial blood. If the Last Supper had been a Passover Seder, however, Yeshua could simply have pointed to the Passover lamb, the Korban Pesach, as the symbol of his body. The blood of this lamb, outpoured at the altar, in that case would have symbolized Yeshua’s sacrificial blood. For why would Yeshua introduce another set of symbols if the ones instituted by the Torah were already at hand? 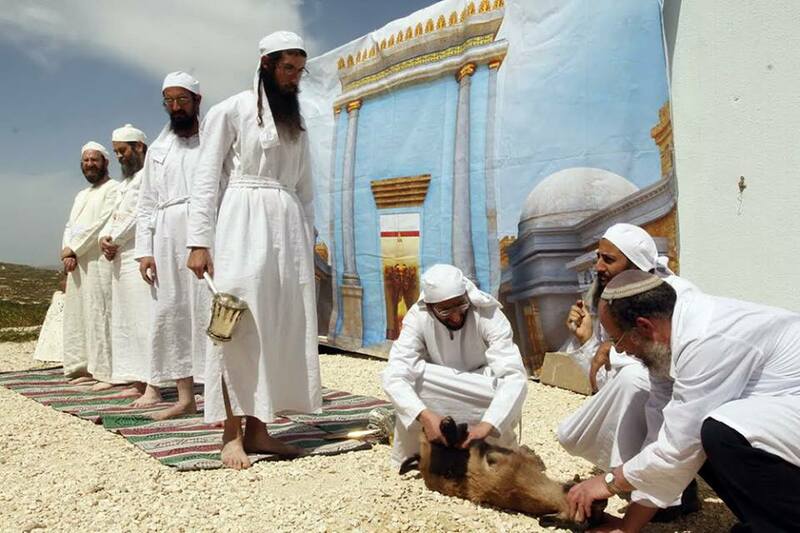 The Korban Pesach sacrificed in the Temple is indeed a sign of Yeshua’s sacrifice, of his body and blood. In the Millennial Kingdom the Temple will again be functioning and Yeshua’s sacrificial death will be commemorated and celebrated with the required Korban Pesach by all the nation of Israel. At that time Yeshua will openly appear as King Messiah and everyone will have to profess him obedience. This public position of our Messiah as King of Israel, however, differs from his position as head of his Assembly, the Mystical Body. In the Kingdom of the Millennium there will be no Mystical Body, that is to say a special congregation of believers in Yeshua. Persons born during the Millennium will be part of the messianic kingdom from the outset and thus be subjects of King Yeshua. All will have to obey him, without a possibility of choice and regardless of having true faith. Concerning external obedience there will be no longer a distinction between believers and unbelievers. Forming a special congregation of believers will then just be meaningless. For the same reasons, to baptize someone in the name of Yeshua, or celebrate the Eucharist, the defining rites of the Assembly of Messiah, will make no sense anymore. Nevertheless, during the Millennium as well as in any other period of history there will be both believers and unbelievers on earth. There will be people who will open up their hearts to Yeshua during this time of his reign and there will be those who will refuse. Outright unbelievers, who openly and rebelliously refuse obedience, however, will be removed from the scene by the death penalty. The Kingdom Age will be a theocracy. The reason why Baptism and the Lord’s Supper will find no place in the Millennium is thus made clear. If they would be maintained, they would become compulsory ordinances enforced upon everyone. However, this would be contrary to their very essence of being instituted for believers only and constituting the community of the believing remnant. The Mystical Body consists only of those who are baptized by their own free will, by reason of their faith in Yeshua, and hence are permitted to partake of the Eucharist, which expresses, maintains and strenghtens the bond of this Body of the faithful. Now it also clear that the national statutes of Israel, such as the Passover Seder, will remain during the Millennium. For Messiah Yeshua is indeed the King of Israel. He will restore Israel’s national statutes and bring them to their highest perfection. The Passover Seder will be enriched with the fullness of messianic meanings that are today not recognized by Orthodox Judaism. Its celebration will be a solemn and public confession and proclamation of Yeshua’s sacrifice on the Cross. Yeshua’s sacrifice will be recognized and confessed as the foundation of Israel’s national restoration. For all who have true faith this will result in their sharing the gift of spiritual rebirth and eternal life. For non-believers the fruits will be limited to the temporal blessings they’ll receive while living in the Kingdom.